China is one of a handful of countries that permits the production and export of goods that would otherwise be deemed infringing of trademarks owned by other parties. The legal basis for this practice is not codified in the law, regulations or judicial interpretations, but rather in case decisions issued by courts in major cities over the past several years. The rule – referred to popularly as the OEM exception – is available on a fairly reliable basis from Chinese courts and Customs based on evidence the overseas buyer owns the trademark registration for the same mark in the destination country and the buyer has no authorised sales in China. The courts have carved out the exception no doubt with an eye to industrial policy, and the goal of preserving business opportunities for Chinese factories and workers. But civil decisions relying on the exception have to date been based on the assumption that Chinese consumers will not be confused if otherwise infringing goods are exported. The OEM exception has generated a fair amount of controversy among Chinese authorities as well as within the IP community. Some authorities – particularly the AICs and their parent organisation the SAIC – believe there is insufficient legislative support for the exception. As a result, AICs in some regions continue to seize goods and threaten fines to factory suppliers, notwithstanding the fact that appeal courts will likely overturn them. Meanwhile, some IP owners fear the exception creates a gaping loophole for counterfeiters to facilitate exports from China relying on trademark registration certificates obtained in countries which do not examine trademark applications against prior marks. The biggest beneficiaries of the OEM exception to date have been foreign companies that rely on Chinese factory suppliers, but have been unable to register their marks in the PRC due to prior registrations. Typically, these prior registrations were filed in bad faith by trademark trolls that typically file for scores of foreign brands – often those of companies that are up-and-coming but not yet big enough to enter to the Chinese market. Recently, there has been a spate of cases where such pirates have recorded their trademark registrations with PRC Customs, and in the expectation that a shipment of the victim’s products made by Chinese suppliers will eventually be seized by local Customs, thereby allowing the pirate to pressure the legitimate trademark owner to pay enormous compensation for the early release of the goods. Typically, pirates sit back and wait for Customs to detain products destined for the victim brand owner following random inspections. In other cases, pirates may conduct investigations to identify the Chinese factory suppliers, sometimes tracking down specific shipments and container numbers based on inside information leaked from the supplier’s staff. In order to resolve such cases without paying a ransom to the pirate, the victim brand and its Chinese supplier will normally present Customs with extensive documentation to prove they qualify for the OEM exception. The paperwork required by customs must be notarized and legalized, and takes at least one week to prepare and submit.. 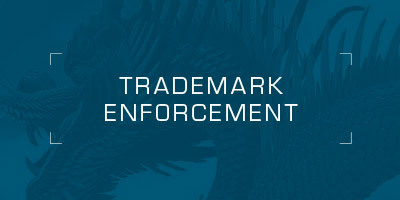 In parallel with legal manoeuvres before Customs, the victim brand owner will normally attempt to reach a settlement that will involve a compensated assignment of the trademark, or in some cases the payment of a royalty or other analogous payment intended to facilitate the release of the goods. In almost all of these cases, the pirate’s marks have not been used. As such, the pirate’s registration may be subject to either cancellation for non-use, invalidation under the various provisions on bad faith under the recently revised Trademark Law, or both. Regrettably, these actions normally take about a year to reach a decision in the first instance – and as many as three or four years assuming all available appeals are later pursued. To date, foreign trademark owners have not sought interim relief in cases of this nature from local civil courts. However, at least in theory, judicial intervention might be available under the Anti-Unfair Competition Law and/or the provisions on IP abuse in the new Anti-Monopoly Law. Alternatively, consideration could be given to filing a civil action seeking a declaration of non-infringement based on the OEM exception and/or under Article 59 of the revised Trademark Law, which arguably allows an erstwhile infringer to continue using a trademark within the previous scope of use – provided it can prove its use began before the pirate obtained its registration. Regrettably, Chinese courts are likely to be reluctant to issue any interim injunctions in such cases, and thus the victim would be required to wait at least nine months, if not longer, for a decision on the merits. Until Chinese courts open the pathway to interim measures, victim brands will need to focus on persuading Chinese Customs to apply the OEM exception, with the goal of obtaining decisions within a few weeks rather than months. Consideration can also be given to requesting national Customs to suspend or cancel a Customs recordal where the underlying trademark was obviously registered and recorded in bad faith. No formal procedures appear to exist to facilitate such relief at present. But lobbying Customs to adopt such procedures should be easier if this phenomenon becomes more common. To avoid delays in shipment, legal costs and unreasonable demands from pirates to purchase their marks, foreign companies that buy from Chinese suppliers are best advised file applications for their marks in the PRC early, notwithstanding the fact they have no plans to sell in the country.